The OMAP–L138 eXperimenter is the latest inexpensive DSP development system to be adopted by the Texas Instruments University Program. The OMAP–L138 processor contains both ARM and DSP cores and is aimed at portable and mobile multimedia applications. This book concentrates on the demonstration of real–time DSP algorithms implemented on its C6748 DSP core. 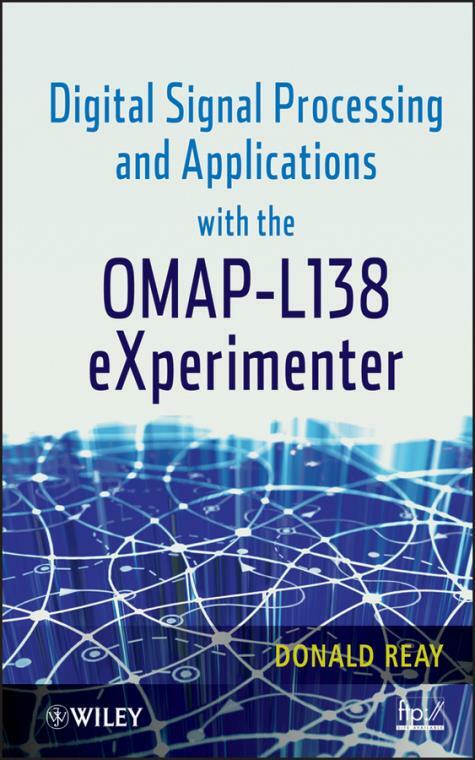 Digital Signal Processing and Applications with the OMAP–L138 eXperimenter provides an extensive and comprehensive set of program examples to aid instructors in teaching DSP in a laboratory using audio frequency signals making it an ideal text for DSP courses at senior undergraduate and postgraduate levels. Subjects covered include polling–based, interrupt–based, and DMA–based I/O methods, and how real–time programs may be run using the board support library (BSL), the DSP/BIOS real–time operating system, or the DSP/BIOS Platform Support Package. Each chapter begins with a review of background theory and then presents a number of real–time program examples to reinforce understanding of that theory and to demonstrate the use of the OMAP–L138 eXperimenter and Texas Instruments Code Composer Studio integrated development environment.